Following all sorts of useful discussions at our April members evening we agreed a few actions. This is a communication about one of them! Others to follow…………. Firstly we are a popular club with a membership level that makes us one of the bigger UK clubs, something we are rightly proud of, but we are very conspicuous around the area. That means after the most important consideration of safety we must be seen by all other road users and as individuals by each other in the best possible light. Yes we have had the occasional incident that has been caused by one of those unfortunate ‘coming togethers’ and the law of averages suggest occasionally we will continue to do so. 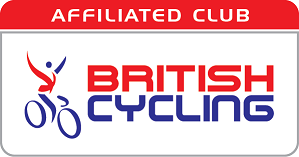 But we also receive feedback from other road users, cycling clubs and our own members reporting incidents and riding behaviour that cannot be excused by being one of those unavoidable club riding incidents. At the meeting this was discussed at some length, to cut a long story short we recognised that we need to offer some practical group riding training and use our own experienced members to help run the sessions. It was also generally agreed that when on club rides our experienced riders must be prepared to a guide/advise in real time. Crucially though bearing in mind the balance between a constructive approach and downright putting people off. We will run this activity on one or two evenings (more if demand requires it) around Burrator but first we need to gauge genuine interest (and I’ll be honest we hope there will be plenty! ), experienced members who want to help appreciated of course. This post is to ask you to express your interest either in comments below or via the info@yogicyling.com e-mail. Please respond by Friday 13th May and state whether you are taking part to learn or to help. The level of response will determine how many sessions we set up and once we have that information will post the details.